Love the Dance? 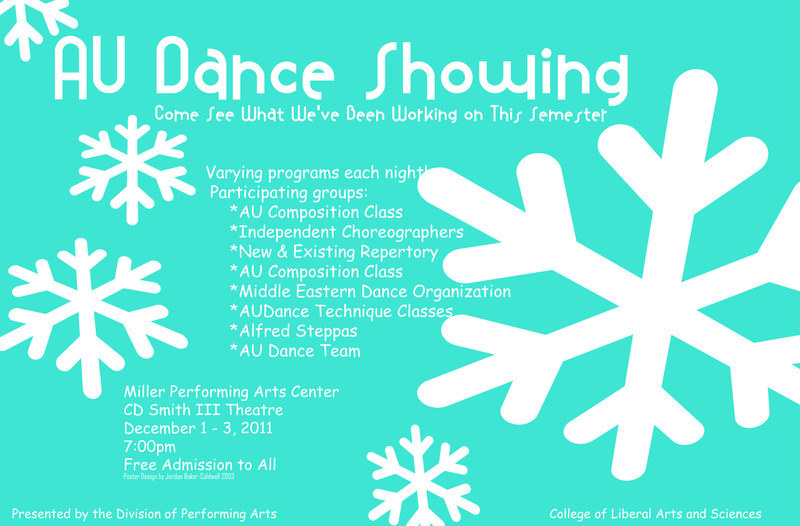 Support the Dance! This entry was posted in Happenings, Uncategorized on November 29, 2011 by ruralscape. Thanks to Alison Derwallis for the image. It’s that time of year… you are finishing up your coursework and soon you will be experiencing your first Foundation review! So what can you expect? At the end of each semester you will meet individually with a team of faculty to for a personal review of the work you created this semester. We will look at your progress, discuss your artwork, applaud your successes and give you an idea of what you can do to improve next semester. The 15 minute reviews will be held from December 5 – 9th and will take place in the Harder Hall studio. You should arrive 20 minutes before your appointed time with the required items listed below. Please take time to clean up drawings or repair any work that has been damaged. In instances where you will be bringing in photo documentation make sure they are printed in 8 1/2 x 11 color format. Photographs on cell phones are not permitted. This entry was posted in FALL 2011, Happenings on November 29, 2011 by ruralscape.